I’d like to take this time to thank some of the talented artists who submitted cover ideas for the second edition of Everyday Aspergers (EA). The chosen submission for the second edition of EA can be found here by artist Kimberly Tucker. 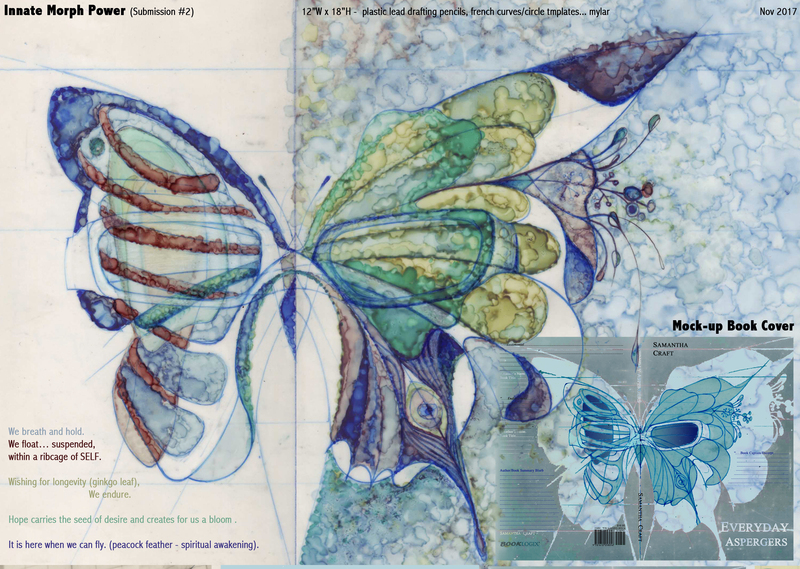 If you submitted your artwork, and would like to be added to this page, please contact us. Runner Up Artist: Rebecca Doyle Congratulations to the runner up in the call for submissions. 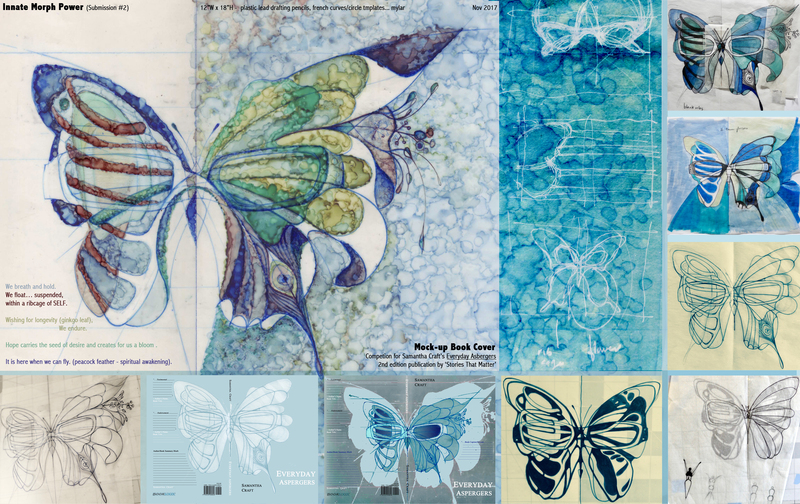 – – – Rebecca shared many lovely images with us; her ‘lady in blue’ was a strong contender for the cover. 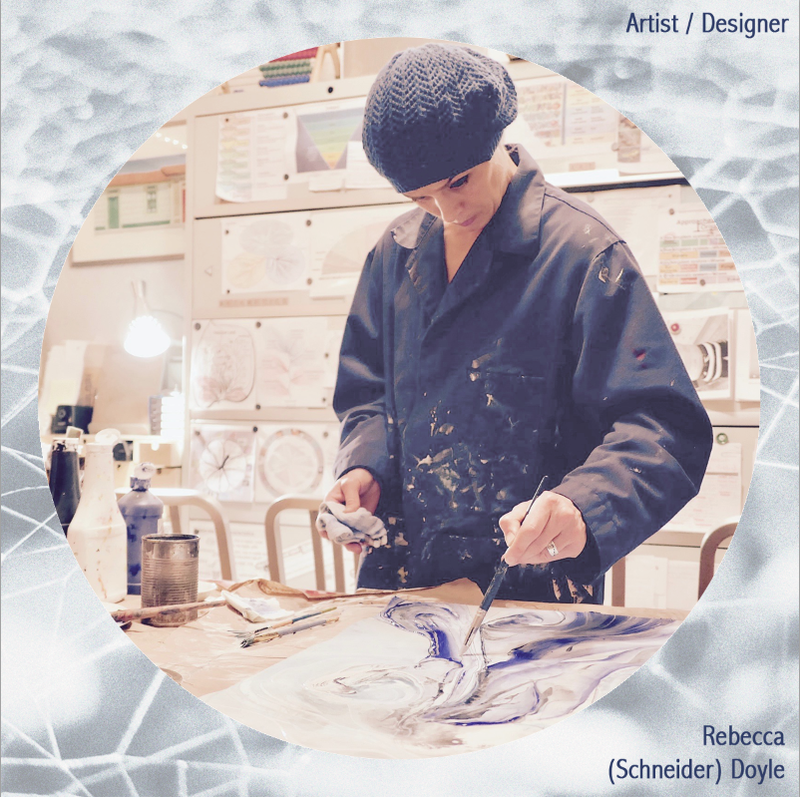 A Creative Bio by Rebecca (Schneider) Doyle – – – A lover of liquid lines and PROCESS. – – – (A FIERCE everything…Thinker/Maker and Peace/Clan-keeper.) “Strands. – – – A detailed CONNECTOR. – – – Who punctuates and leaves. Comes back again with caution, re-accessing the focus. Rotating the PUZZLE. – – – Prints of the past… fall with wistful, wandering EXPRESSION. 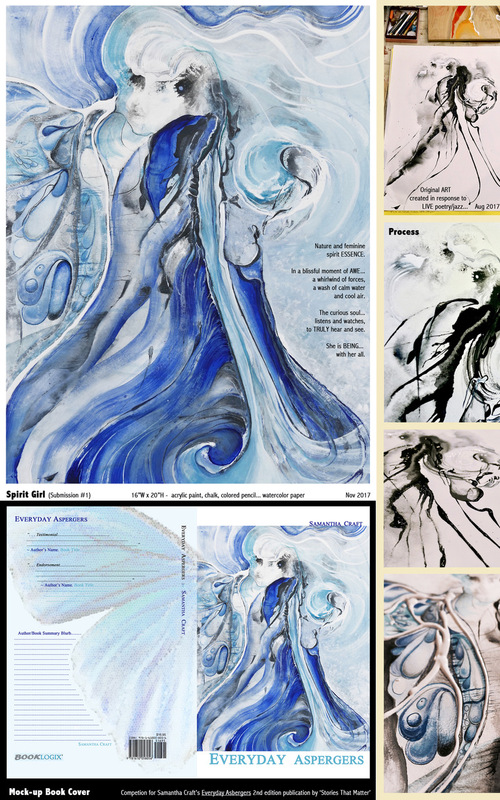 – – – My abstract creations are exercises that… filter, wash, and survey the lands of RELATING. I am fascinated by stories of CHANGE. Our reality. ROOTS. – – – I feel WONDER and joy (so often, even in the broken and especially in the old / pained). Everywhere… patterns / shapes / TEXTURE. Random things find their way home with me, each a precious GENERATIVE for the future. – – – I believe that art can HEAL, and sometimes SAVE. It can sew BRIDGES into others’ hearts. – – – Can we spin more strength into our fragile STORIES? Shadows can be hard to hear, but so crazy important to see through. Can we blow the dust off of the aged human web? Lets try allowing more space for deeper understandings about the multi-LAYERED potential in ALL life. Threads of Time. – – – An anecdotal story that weaves my journey back into art. – – – Even though it was years after my ankle fusion fix, I was still weary (from the early years of child-raising, while experiencing chronic pain from 2 auto accidents). Delighted to be off to a night with musical friends, but feeling anti-social, I pre-packed a small kit of COPING (drawing supplies in mint tins + paper + a clipboard). “Can’t you just behave? !” I guess not, if it means I have to sit there ‘doing’ nothing (with my thoughts / inspirations / hands)! Afterwards, a small crowd at my back-of-the-room table. A couple of years/CDs listens later… I was invited to respond, in doodle form – to a LIVE concert of poetry/jazz. So glad I had my ANTENNAE up.” Filament Extras. – – – PROFESSIONAL: Rhode Island School of Design – ’97 BFA Interior Architecture / Fine Art. – – – Freelance graphics (local women start-ups). – – – Historical house rehab (turned yoga studio). – – – PERSONAL: Grew up in bubble within the suburbs of Twin Cities, MN, U.S.A. – – – Eldest of 4 siblings, with (4 out of 6) lefties in my ZANY family. – – – Homeschool/family CARE-taking consumes, in the best way possible. Thank you to Kathryn for her powerful submission. Kathryn C. Fleming-Johnston (IN, USA) has a background in the biological sciences and now teaches STEM (Science, Technology, Engineering, and Mathematics) for a non-profit focused on at-risk youth in Indianapolis. 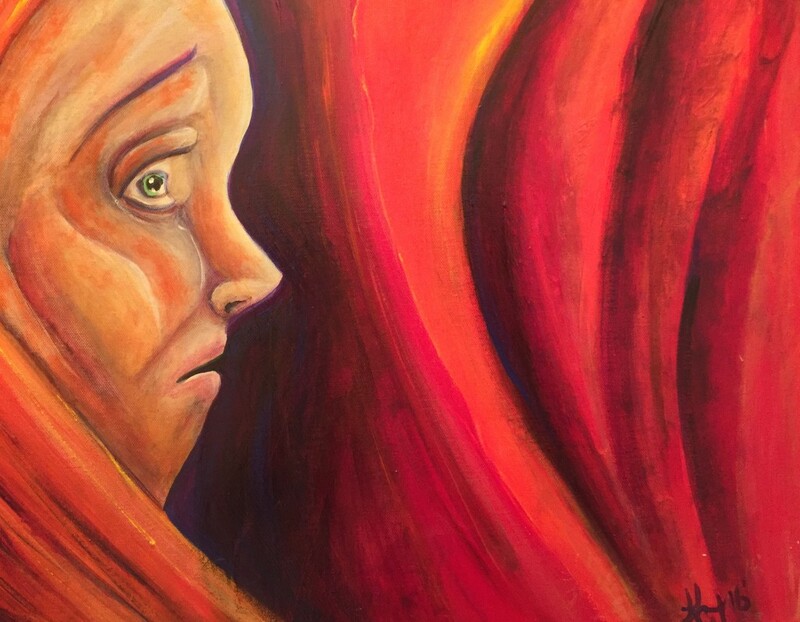 Diagnosed with Asperger’s as an adult, Kathryn has used her love of all things art to understand her unique perspective of the world, and as a bridge to understanding her own complex emotions. Along with painting and writing poetry, she also sings and writes music on guitar. Kathryn is a wife and mother to four boys. Kathryn’s artwork Facebook page Thank you Angie for your participation and lovely contribution. 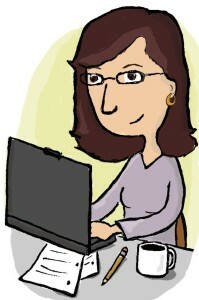 Angie Brennan is a writer, illustrator, cartoonist, and teacher. Angie’s monthly humor column, “Banter from the Burbs,” ran in the Suburban Scene magazine for two years. Her publishing credits also include the Reader’s Digest (cartoon), The Classical Difference Magazine, The Capital, Inside Annapolis, Exceptional People Magazine, and the Crofton News-Crier. She is also the author “Beneath the Chipvole Mountains” (children’s fantasy), which was featured in World Magazine’s 2013 books issue. Angie currently teaches K-3rd grade music and 3rd grade Latin at Rockbridge Academy, a classical Christian school in Maryland. She and her husband, Terry, have three children ages 15, 17, and 25. Visit Angie’s website at angiebrennan.com Melissa Eacersall Melissa Eacersall has a background in Arts Administration having worked previously as PA to the Director at Modern Art Oxford. Whilst here she met many inspiring artists including Gustav Metzger, Tracy Emin and Ed Ruscha. 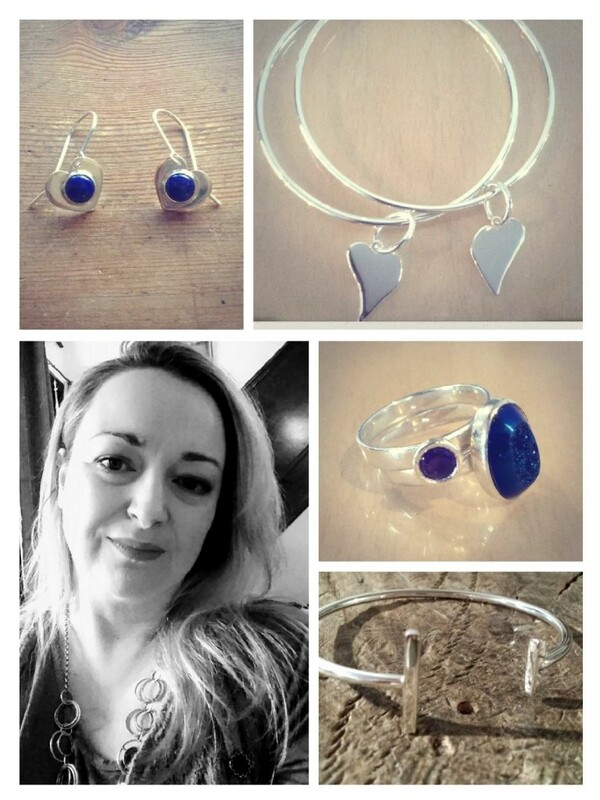 Melissa has studied Silversmithing part-time whilst raising her family and is now a student at the the University of Creative Arts in Kent, England. She was diagnosed with Ehlers Danlos Syndrome three years ago and is a self-diagnosed Aspie. Melissa is the proud mum of two wonderful children.